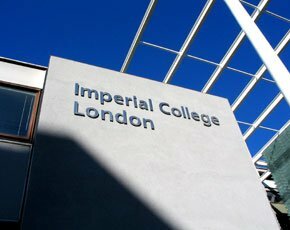 KPMG and Imperial College London have joined forces on a £20m ‘KPMG Centre for Advanced Business Analytics’, with the investment coming from the professional services firm. The project is to focus on business capital, growth opportunities, people, operations and resilience. The centre will also develop analytical methods and tools for exploiting big data. The stated aim is to give UK businesses the opportunity to solve complex issues, such as enabling banks to predict fraud or helping retailers understand consumer behaviour better. A joint Imperial-KPMG team will complete 15 to 20 projects each year until 2022. Some 800 PhD students will be trained at Imperial College as “data scientists”. Researchers at Imperial College Business School will lead the centre as part of the college’s Data Science Institute, which is developing data science methods and technologies and supporting data-driven research. KPMG and Imperial said there would also be a ‘Global Data Observatory’ to bring data visualisation software to bear on large amounts of data and complex data.